Dr. Olga Kolokytha is Assistant Professor and Postdoctoral RA with the Media Governance and Media Industries Research Group, at the Department of Communication of the University of Vienna. She holds a PhD in Cultural Institutions Studies awarded with Distinction by the University of Music and the Performing Arts Vienna, an MA in Arts Management City University London and a BA in Musicology and Music Education Aristotle University of Thessaloniki. In 2006 she was ranked 7th in Europe for the Cultural Policy Research Award, awarded by the European Cultural Foundation and the Bank of Sweden. She has taught at the Aristotle University of Thessaloniki, the Greek Open University and the University of Vienna, has presented papers in international conferences and worked extensively as cultural projects manager and consultant around Europe. She has worked with the European Opera Centre as Projects Manager since 2003. Her research monograph Artistic Development of Young Professional Singers, published in 2013, explores the notion of Artistic Development multiperspectively and focuses on issues of industry, career and professional development. She is regularly invited to give lectures for cultural organisations. Her research interests are in the area of communication and the creative industries and include, but are not limited to, cultural institutions tangible and intangible, cultural policy and politics, creative industries in times of crisis, arts and culture with emphasis on the performing arts as a political instrument, interactions between various stakeholders in the cultural industries. 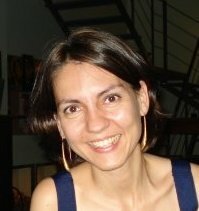 Olga speaks English, French, German, Italian and Spanish.